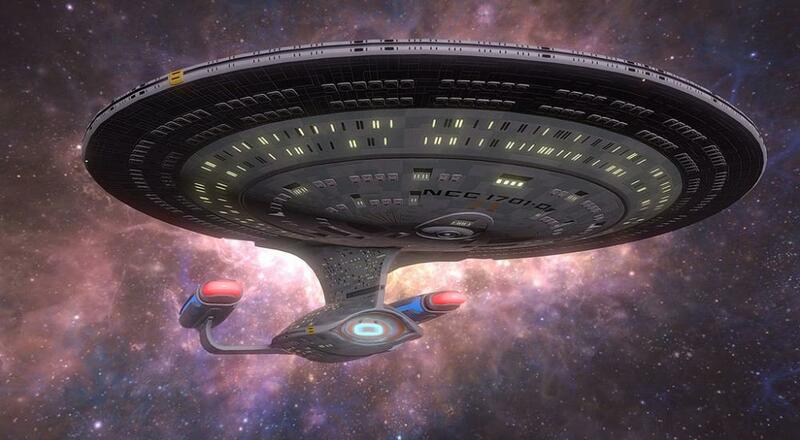 Ubisoft and Red Storm Entertainment's Star Trek: Bridge Crew is getting its first bit of DLC today on the PlayStation 4 with some content that will undoubtedly make some Star Trek fans happy. With the "Next Generation DLC," you and your buddies can step onto the bridge of Picard's NCC-1701D Enterprise and take on one of the universe's biggest threats: the Borg. So what else do you get with the DLC? Glad you asked! Two New Ongoing Voyage Mission Types - "Resistance" and "Patrol"
Now in that last bullet point, there's something worth calling out/noting. The "Resistance" Ongoing Voyage mission type will pit you and your crew against a Borg Cube. Players will be tasked with completing random objectives in order to acquire new technology to help in their battle against the Borg, but there's a catch: every time you encounter the Borg, they'll (naturally) adapt to your strategies and tech, meaning you'll have to adapt new strategies the next time you face them. It's a pretty interesting gameplay mechanic that also keeps with the whole "Star Trek" universe. If you're curious about knowing more, check out the PlayStation Blog post where a designer from Red Storm Entertainment discusses it in more depth. Star Trek: Bridge Crew is available on PC and PlayStation 4. The game is VR enabled, but a VR headset is no longer required to play. Four player online co-op is supported on the PlayStation 4, and four player online and four player LAN co-op is supported on PC. The "Next Generation DLC" is available today for PlayStation 4, and will be available on the PC on July 21, 2018. Page created in 1.1586 seconds.